You've been studying for months. You know your vocabulary words forward and back. You're doing math problems in your sleep. But, are you ready for test day? This guide is designed to give you helpful tips that can help you achieve a test score you're proud of. 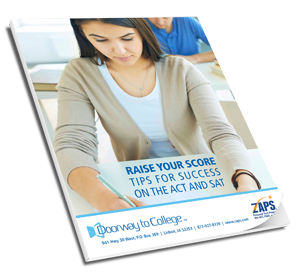 Fill out the form below to download Raise Your Score: Tips for Success on the ACT and SAT.